Neuromodulation employs advanced medical device technologies to enhance or suppress activity of the nervous system for the treatment of disease. These technologies include implantable as well as non-implantable devices that deliver electrical, chemical or other agents to reversibly modify brain and nerve cell activity. Normal neural activity is an intricate balance of electrical and chemical signals which can be disrupted by a variety of insults (genetic, chemical or physical trauma) to the nervous system, causing cognitive, motor and sensory impairments. Similar to the way a cardiac pacemaker or defibrillator corrects heartbeat abnormalities, neuromodulation therapies help to reestablish normal neural balance. Neuromodulation therapies allow focused delivery of modifying agents – e.g. electrical, optical or chemical signals - to targeted areas of the nervous system in order to improve neural function. 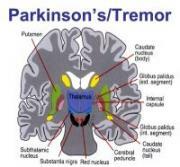 They range from non-invasive techniques such as transcranial magnetic stimulation (TMS) to techniques involving the surgical implantation of devices to alter activity in discrete areas of the nervous system. The most common neuromodulation therapy is spinal cord stimulation to treat chronic neuropathic pain. 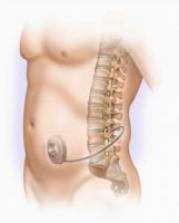 In addition to chronic pain relief, some examples of neuromodulation therapies employed around the world include deep brain stimulation for essential tremor, Parkinson’s disease, dystonia, epilepsy and psychiatric disorders such as depression, obsessive compulsive disorder and Tourette syndrome; sacral nerve stimulation for pelvic disorders and incontinence; gastric and colonic stimulation for gastrointestinal disorders such as dysmotility or obesity; vagal nerve stimulation for epilepsy, obesity or depression; carotid artery stimulation for hypertension, and spinal cord stimulation for ischemic disorders such as angina and peripheral vascular disease. Neuromodulation therapies improve peoples’ lives. They provide an alternative to long-term drug therapy for the symptomatic relief of persistent or chronic conditions, which is particularly important when existing drugs are simply ineffective or become problematic for long-term use due to tolerance development, addiction, adverse side-effects or toxicity. Neuromodulation technologies continuously deliver pharmaceutical agents, electrical signals or other forms of energy directly to the source of the condition to beneficially alter the way pathologic tissues behave. Because neuromodulation therapies are targeted, they can avoid side effects associated with more systemic or irreversible treatments of nervous system disorders. And being easily reversible , they can provide an important degree of therapeutic control for patients and physicians. Despite their technological complexity, several studies indicate that for some patients, early use of neuromodulation technologies may be more cost effective at controlling certain conditions overall than medical management approaches, particularly when accounting for the specter of drug dependence. Examples include spinal cord stimulation for the treatment of neuropathic pain and intrathecal baclofen for the treatment severe spasticity. Neuromodulation therapies have been available since the 1960s and have become an integral tool to the healthcare profession. As with most medical technologies, neuromodulation devices have progressed, becoming smaller, more easily implanted and removed, more highly targeted and more cost effective. Advances in our understanding of and ability to decode the electrical and chemical signaling of the brain, coupled with advances in our ability to engineer probes and technologies of increasing sensitivity and biocompatibility will lead to new treatment indications and increasing clinical utility. Neuromodulation devices are the fastest growing segment of the overall medical device industry. The number of novel neuromodulation devices approved by the FDA grew 35% in 2007 (from the NeuroInsights Neurotechnology Industry Report.) Promising new neuromodulation therapies address such diverse disorders as migraine, obesity, obsessive compulsive disorder and depression. Advances in neuromodulation therapies are truly multi-disciplinary, requiring the close collaboration of neuroscientists, engineers and clinicians to reach fruition.